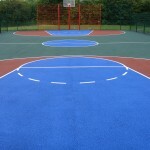 We work across the UK providing basketball court painting services for many outdoor facilities. The most common locations we visit are schools and leisure centres, and our team can offer different products and designs. Colourful anti slip paints help to improve the appearance and playability of sports surfaces and this is why it is one of our most popular services. Our work varies for every project but we’d be happy to take a look at your facility and provide a quote so you can get an idea of costs. All you have to do is fill in the contact box on this page and let us know the details of what you need. 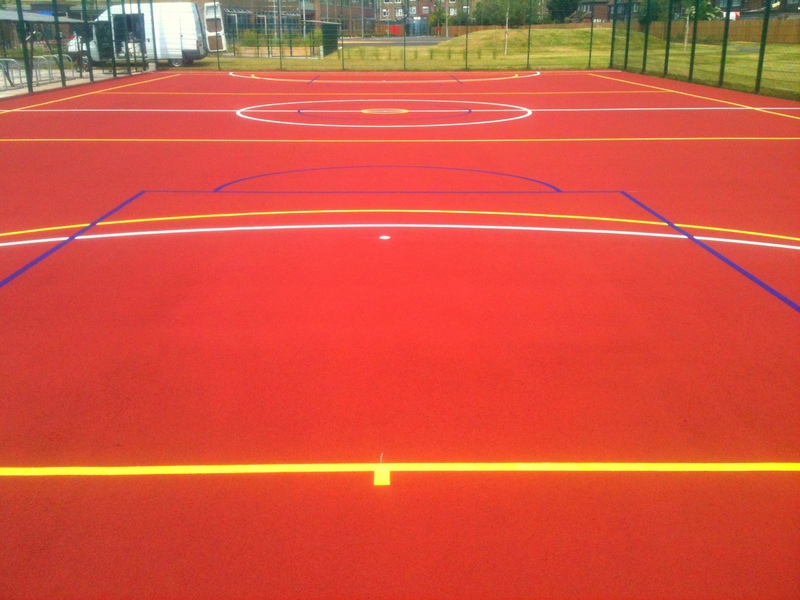 We offer a large selection of colours for when we apply basketball court painting, which allows you full customisation over the design and specifications of your court. 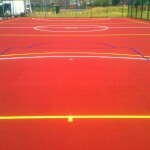 If you are a sports club or have a competitive team at your school we can paint the court in the colours of your team giving you a truly unique and personal surface. 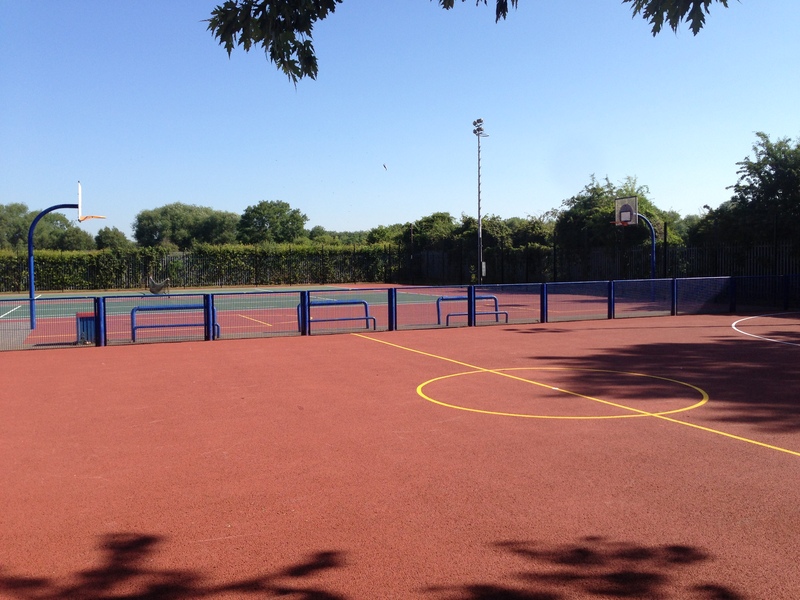 The paint we use is fitted with an aggregate within the paint itself, this allows for a lot more grip when using the surface, so for sports such as basketball and netball this is a huge plus due to the quick paced play and back and forth flow of the sports. 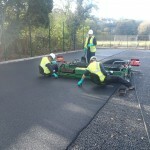 We also offer full construction of basketball court facilities in both macadam and polymeric EPDM surfacing so feel free to contact us if you are interested in installing a brand new sports court. 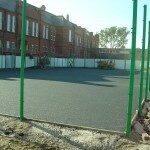 If you are a school, basketball court painting with an anti-slip coating makes the playing surface safer for the children using it, and as it’s the school’s responsibility to ensure the safety of the students using their sports facilities, these extra safety characteristics are a massive plus. 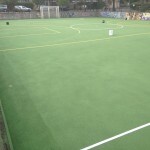 We also offer line marking in the colours; White, Blue, Red and Yellow. 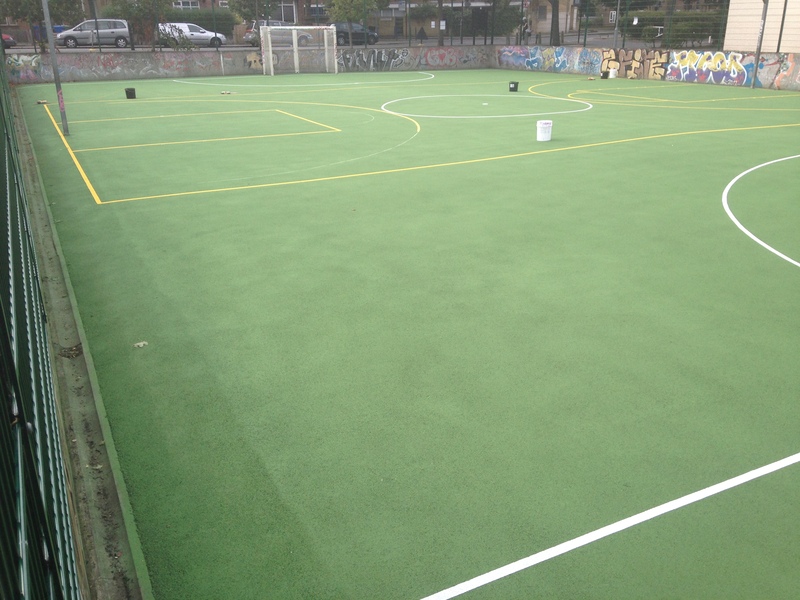 If you wish to use the surface for other sports as well, making it a multi-use games area we can apply different line markings in contrasting colours, helping you differentiate between sports whilst using the surface. The paint we use is also completely porous, allowing for water to pass through it ensuring that the surface maintains its all-weather usability without becoming flooded or waterlogged. 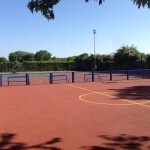 We offer a variety of different services for schools, colleges, sports clubs and leisure centres including building brand new MUGA courts and painting existing ones with basketball line markings. 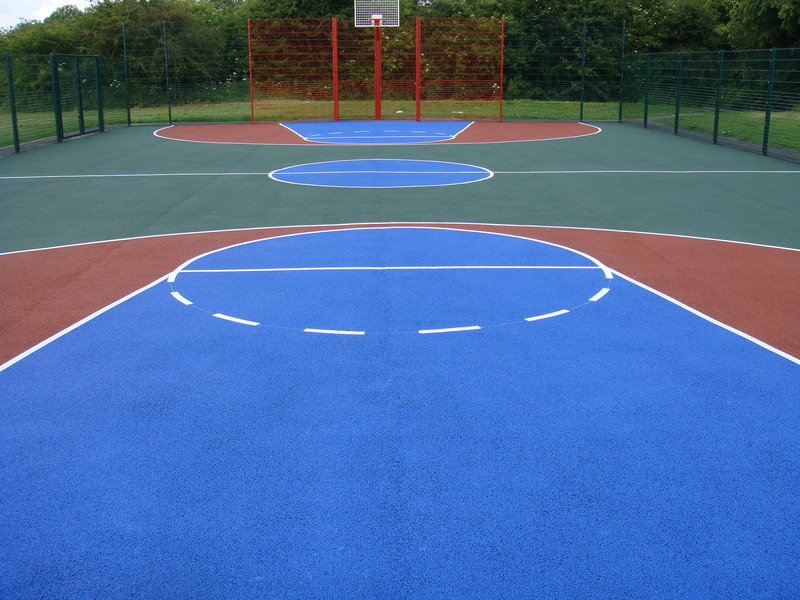 If you have any questions about the costs of basketball court painting or you’d like to speak to one of our experts, please complete the contact form on this page with details of your enquiry so we can get back to you. The main factor to take into account for the costs for basketball painting is the size and dimensions of the surface, obviously the larger the surface area of the basketball court, the more paint will be required which will naturally increase the price of the job. The location of your facility will also pay a part in the pricing for the job, as if the job is far away we will have to cover fuel and accommodation costs. 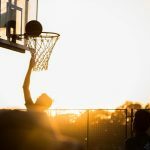 Costs for basketball painting may seem daunting but it is essential in making sure that your court is completely safe for use if you are a sports club, leisure centre or school due to its anti-slip properties. We aim to offer the best possible services and products to ensure that everyone who works with us is happy with the final product. Costs for applying coloured coatings can vary so if you have a tight budget you need to fit within, we will do our best to help you keep costs and the price down. We would be happy to talk to you in more detail about any projects you have with regards to basketball court painting or construction, so please fill in our enquiry form to get in touch with us. Don’t hesitate to let us know if you’ve got any questions about each of the things we offer. We’ll always try to be competitive on prices so let us know if you have a certain budget to stick to.